Too $hort just released his newest album ‘The Pimp Tape’ and today he is back with the official visual for his G-Eazy & The Dream assisted track “Only Dimes.” In the video, the three are surrounded by ‘dimes’ poolside, so check it out above and enjoy! Yee! Check out thee Official Documentary on the pioneer of West Coast hip-hop, Too $hort in his ‘3 Decades Of Game’ release. The video features the likes of Wayne Shaw, Raphael Saadiq ,E40, Ritchie Rich and more. Check it out up top and enjoy! Yee! Too Short will never be done making music. In this new visual and track Short & Meter Mobb have linked up for “You Came To Party” which is featured on HBO’s Silicon Valley Soundtrack via Mass Appeal Records. You get a party bus, girls, alcohol, strobe lights going wild and everything else that comes with it. Like it or nah? Let us know in the comments. Snoop Dogg is back with a brand new video from his ‘Neva Left’ project he released a while back. The two legends — Snoop Dogg & Too Short link up for “Toss It” – where we see them transform, literally into dogs. Peep it above as the two kick it at the beach…. let us know what you think in the comments. Enjoy! 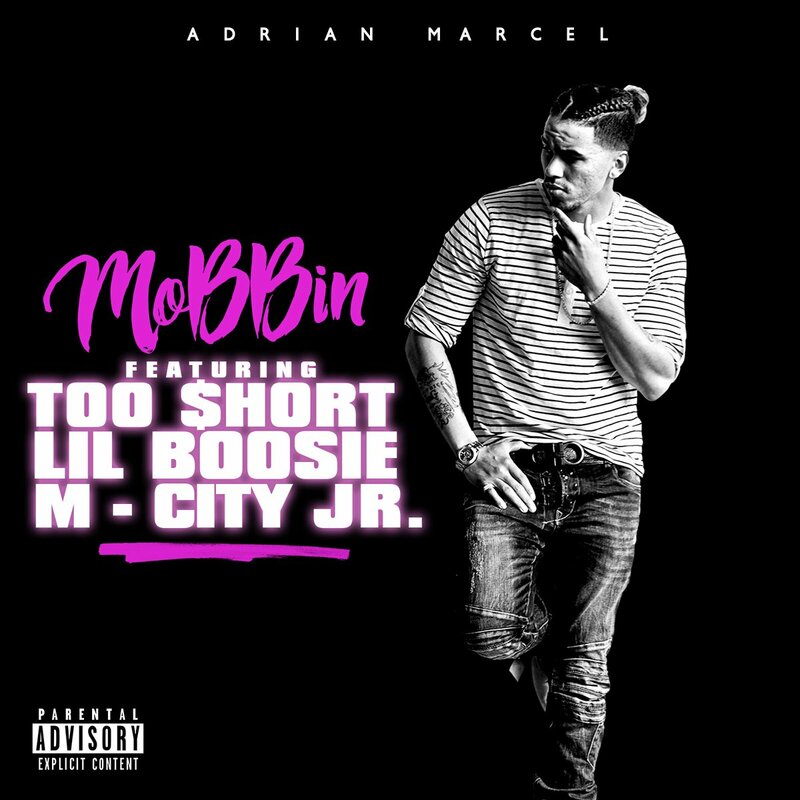 Check out the brand new track from Adrian Marcel as the newest #YoungCalifornia Premiere entitled “Mobbin” featuring Too $hort, Lil Boosie & M City Jr! Officially this is off Adrian’s upcoming album ‘GMFU’ releasing this Spring. Do yourself a favor — listen in below and let us know what you think. Enjoy!